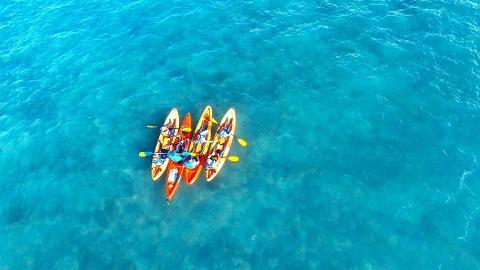 Join us on our full day kayak tour of the inner Great Barrier Reef to Double Island and Haycock Island. This is a great tour for the whole family. 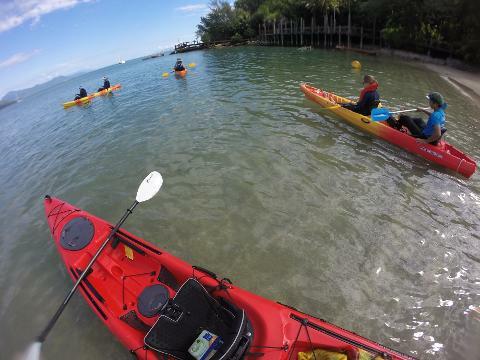 We set off from Palm Cove at 8 am. 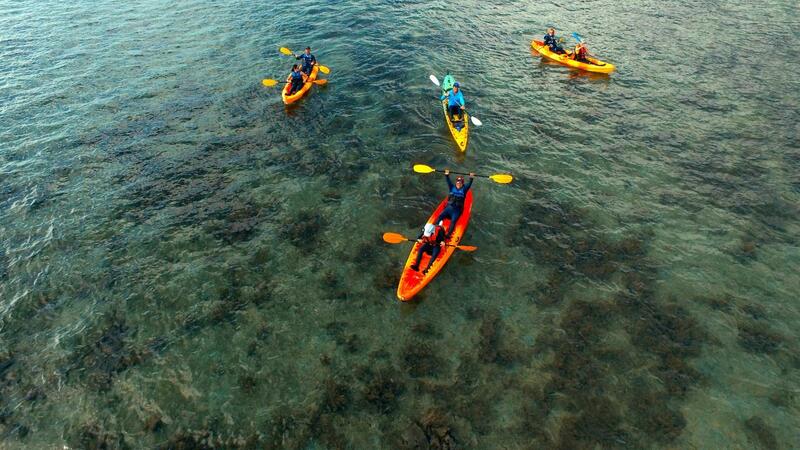 After a short paddle across you’ll soon be greeted by the beauty of the surrounding reefs and the amazing islands. We pull up on Haycock Island to relax and explore the island. 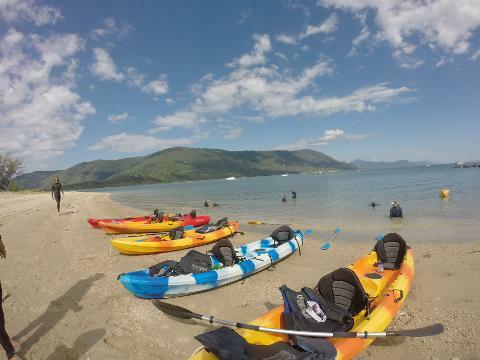 Snorkel sets are provided at this point depending on the conditions. 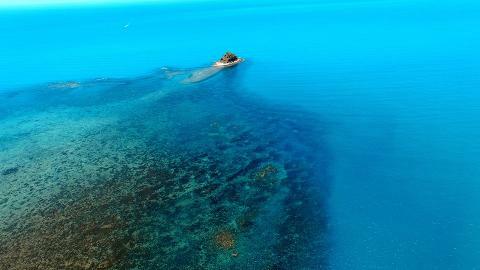 It’s off to the north side of Double Island. Here we pull up on one of the small secluded beaches for fresh fruit, cake, and juice. This is a great place for swimming and snorkelling as the north side is completely protected from the prevailing southeast trade winds. After relaxing, swimming/snorkelling at the beach, we then make out way over to the limestone cave. Depending on the conditions, we will enter the cave. The cave has a small beach inside and stalactites on the ceiling. We then leave the limestone cave and make our way around to where the resort is situated. This is has a beautiful sandy beach where we can stop Blue Spotted Lagoon Rays, Shovel Nose Sharks and a ray of different marine life. Here we also go for a walk over to the mangroves. Along the way (if oysters are your thing) you can pop a few off the rocks. After exploring this section of the island, it’s time to head back. If the wind is up, we make our way over to Buchans Point/Elis Beach. We have exclusive rights to pull up at this beach as we are the permit holders for this activity. Here, there will be a bus and trailer to pick everyone and everything up and run you back to palm Cove. If the wind is down, we will make our way directly back to Palm Cove.